We are continuing to use Schoolwide Curriculum. Students will learn through Read-Alouds, Shared Reading, Small-Group Work, and Independent Reading.Throughout the school year there will be projects that students will complete to share their independent reading. Reviewing Landforms and Geography of the U.S. There will be weekly grammar skills introduced and reviewed, and DOL each day. There will be a spelling Pre-Test on Mondays (if there is school), and Spelling Tests are every Friday. Students will use Spelling City and Spelling Menus to practice spelling words. Schoolwide will be used a resource, as we look at the lens of the author during read alouds. 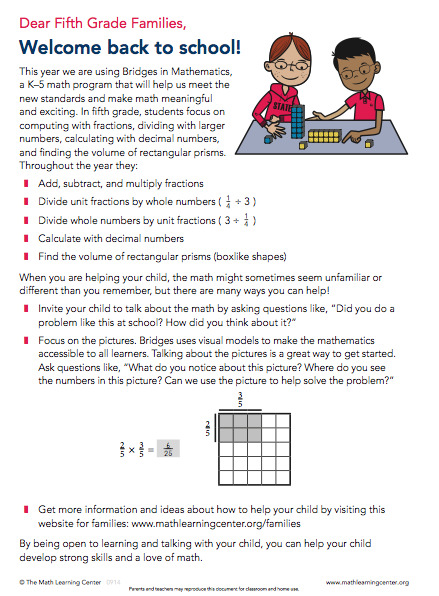 This year, we are piloting Bridges Math Curriculum. It's a wonderful resource, which I received a great deal of training on this Summer. There is no textbook, and students are in flexible Math groups.